I have a confession to make: I love Anthropologie. Yes, I am aware that is owned by the same company as the faux-progressive Urban Outfitters, and I’m not thrilled supporting a corporation with such a long history of terrible (even offensive) decision-making and very right-wing leadership. But dammit if I don’t love walking into an Anthro and taking it all in, particularly in the home section – the overpriced candles, housewares painted with adorable animals, flimsy but beautiful aprons, and, of course, patterns upon patterns upon patterns. But as much as I’d love my life to resemble an Anthropologie at all times, I simply can’t afford it. (Though I have been known to peruse the sale section every now and then — sometimes you can find a great pair of jeans on clearance for like 30 bucks.) I try to find other, less chain-like and more affordable stores with products I love just as much (like the ones on this list from Buzzfeed). And other times, I’ve found that getting the specific look I want in my home is easiest & cheapest if I just do it myself. Because guess what, guys: rustic-chic dining tables, metallic accents, and bold patterns are definitely not just for the 5% of the population that can afford to shop at Anthro on a regular basis. 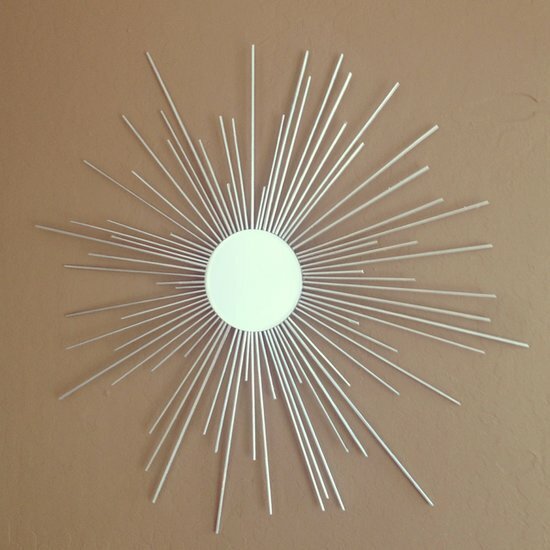 I decided to round up some awesome-looking DIY projects to help you get an Anthropologie look in your home for a lot less money. Some are a little more involved than others, of course, so the projects you can take on will depend on your skill set and available space. (But also, summer is a great time to try out new hobbies — why not master some power tools?!) 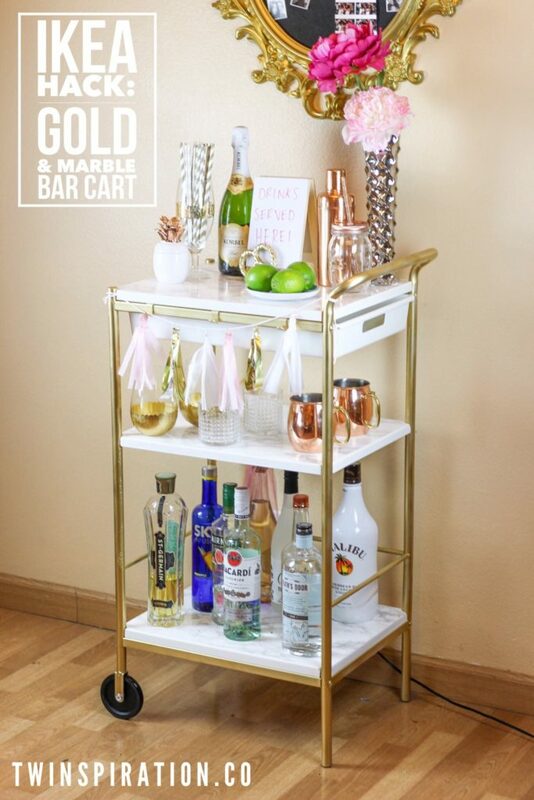 I found that Pinterest is an extremely valuable resource when it comes to finding drool-worthy DIY projects, so if none of these tickle your fancy, I’d start there! The Anthropologie website is filled with beautiful, sprawling dining tables that are an impossibility for me for two reasons: I cannot afford them, and I live in Manhattan as a non-rich person, so the idea of fitting one into my apartment is highly amusing. But I’m sure plenty of you have more space than me, or might someday soon! 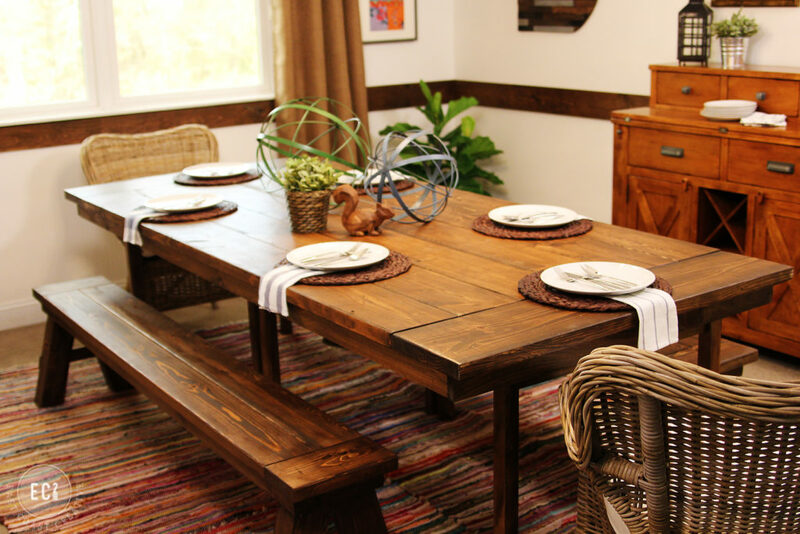 The above project is an “easy” DIY farmhouse table, because you start with a basic Ikea dining table and add to it. Here is a more involved, but still inexpensive, version that starts from scratch. I love Anthro’s collection of colorful, patterned wallpapers, but even at other stores, wallpaper can be expensive. 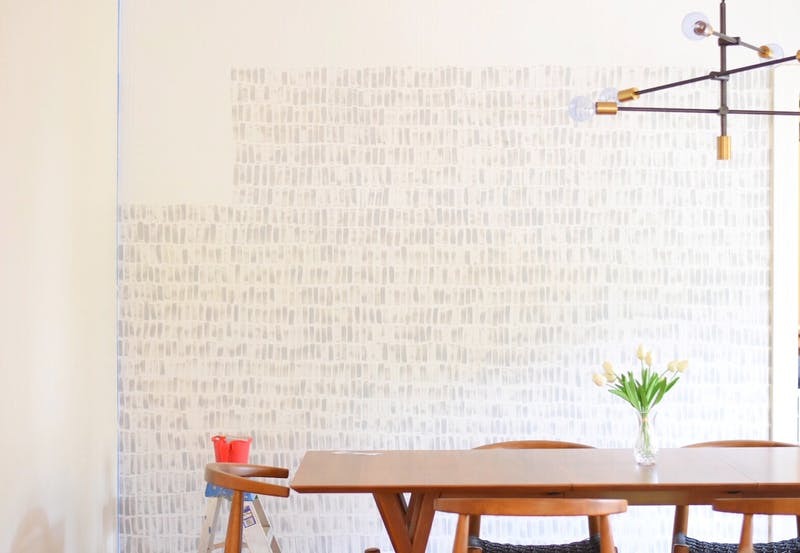 This project from Apartment Therapy helps you get a wallpaper look with just a simple paintbrush technique — I feel confident so many people, even non-artistic ones, could do this! 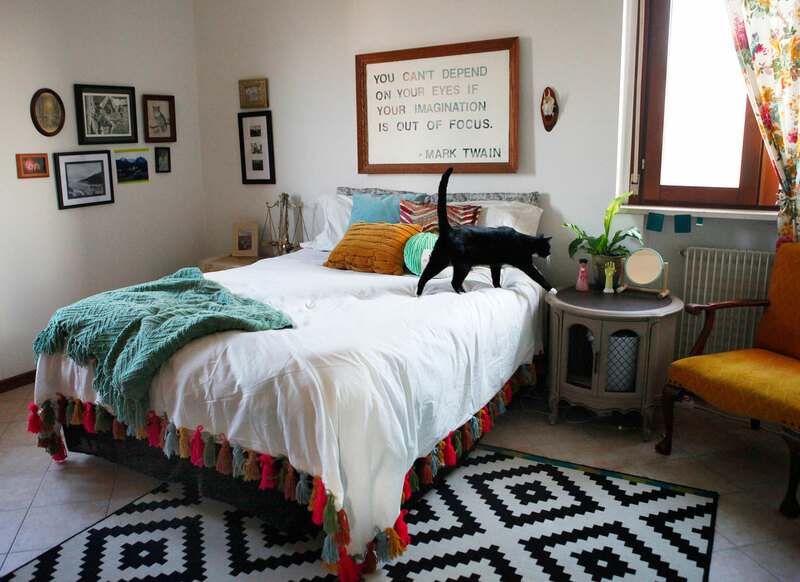 I love pops of color anywhere in my home, and I think this tassel duvet looks so sweet! (Also, the cat!) Tassels are actually super easy to DIY, and you don’t really need any special tools — just yarn, scissors, needles, and a piece of cardboard. 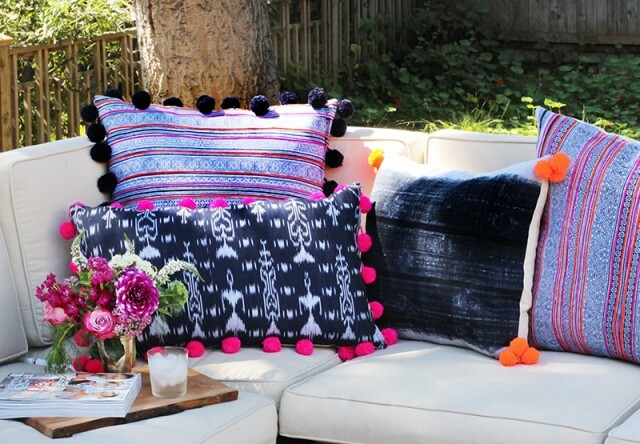 You could make a bunch of them to dress up a plain pillow case, or even add fringe to an old sweater! 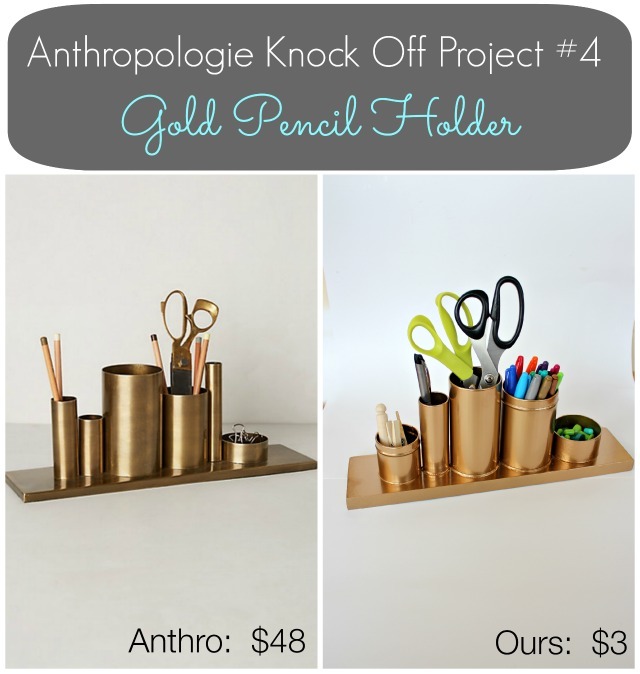 This is a knock-off of an actual desk organizer Anthro used to sell, and damn, it looks pretty close! It’s so important to me to fill my workspace with things I love and am happy looking at all day, but also to keep it organized. This gold set would go well on virtually any desk, and it’s a cheap, functional solution. 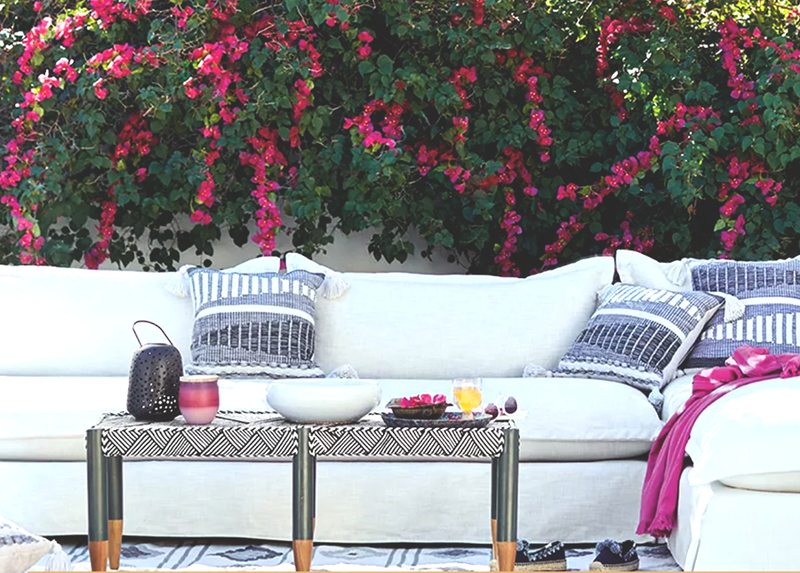 Anthropologies has a ton of adorable pillows with embroidery, pom poms, and other embellishments…but I don’t know about you, but I’m not about to drop $90 on one throw pillow. However, I am firmly #TeamPomPom, and like tassels, they are extremely easy to make (AKA difficult to mess up). Just grab some colorful yarn and take a Saturday afternoon to cute the heck out of your existing pillowcases! 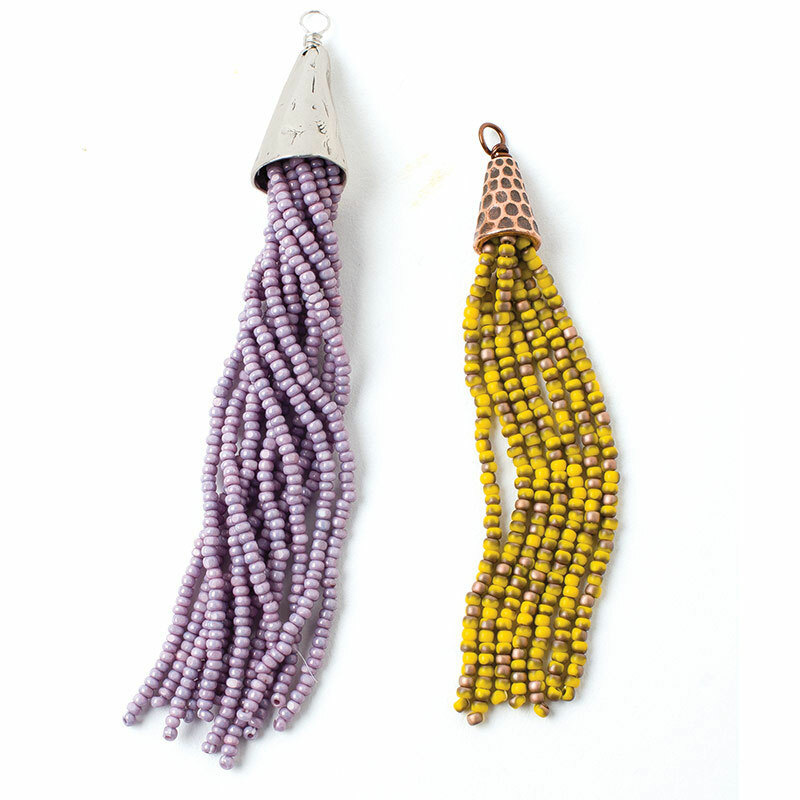 A little more involved than yarn tassels, beaded tassels are still an easy undertaking. They might take a bit longer, but they’d look super sweet attached to a piece of decor or decoratively hung on a doorknob. 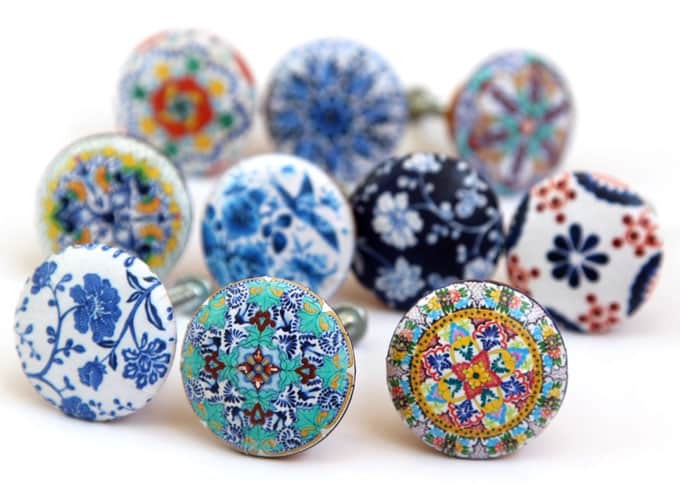 They could even make a cute, vintage-inspired lamp pull! Just head to your local craft store to easily find all the necessary materials. Anthro currently has these gorgeous gold trays with colorful inlaid patterns, but of course, they’re out of the ideal price range for most of us. 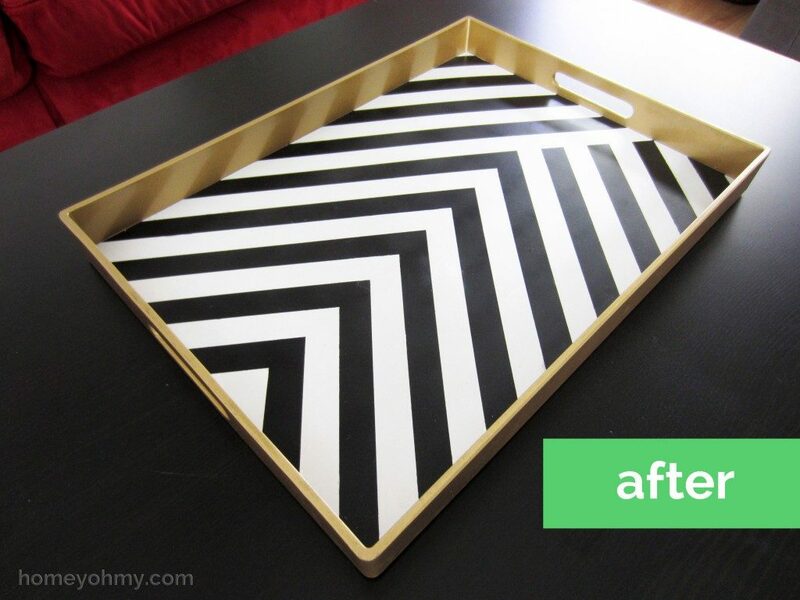 This DIY is a great knockoff version — just visit a Marshall’s or HomeGoods to find the shape you want, and pick whatever color scheme you’d like! You could even mix it up and do a ton of different colors in the pattern you want, not just two. 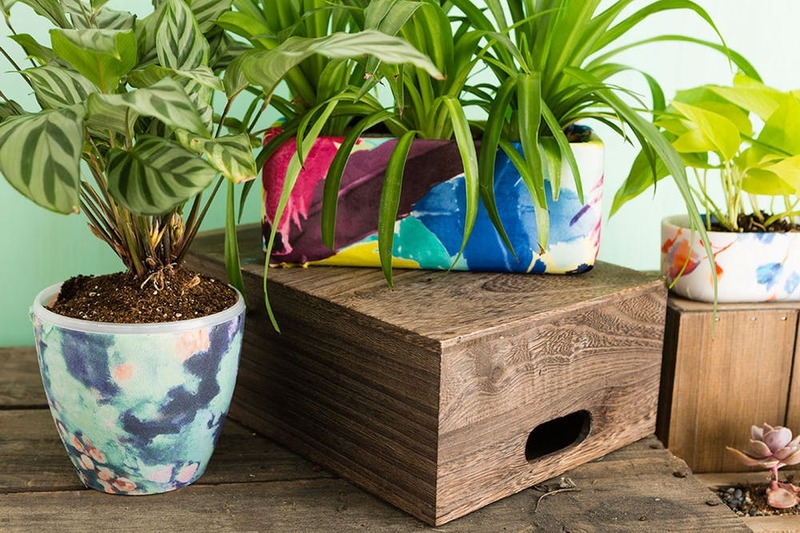 This hack draws from some beautiful, patterned planters Anthropologie used to sell, and it’s so creative — it uses printed fabric and a decoupage technique to get a watercolor-style look without any necessary artistic abilities. 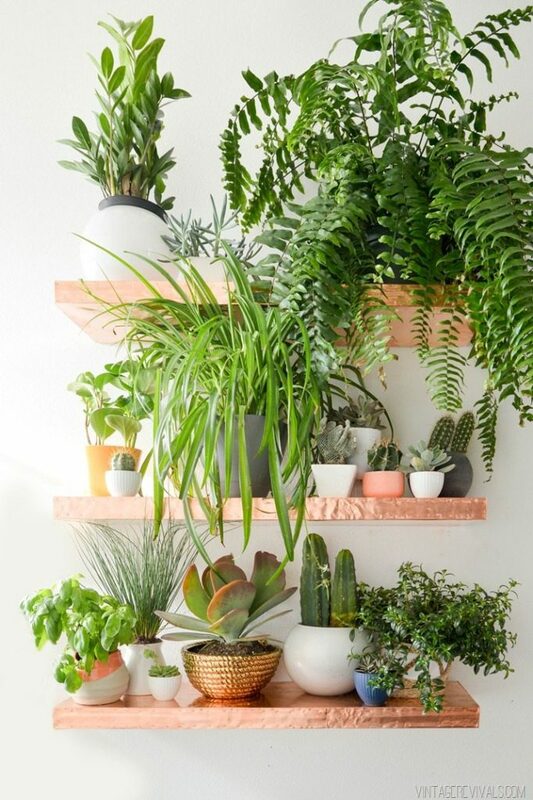 I kind of want to take up apartment gardening just so I have a reason to have these in my home, tbh. 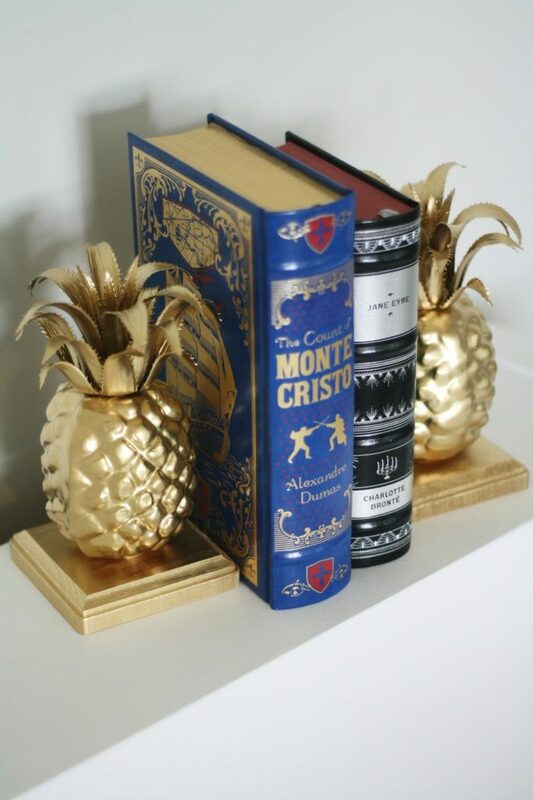 Anthro has some golden pineapple bookends right now, and of course, they are super cute — and also $48, which feels a little steep for something that just keeps your books from falling. Luckily, you can make your own for way cheaper! Be on trend, but not so on trend that you end up crying over your credit card statement. Textured glass is a staple at the source of our inspiration, but you can secretly make it on your own for way cheaper than retail. 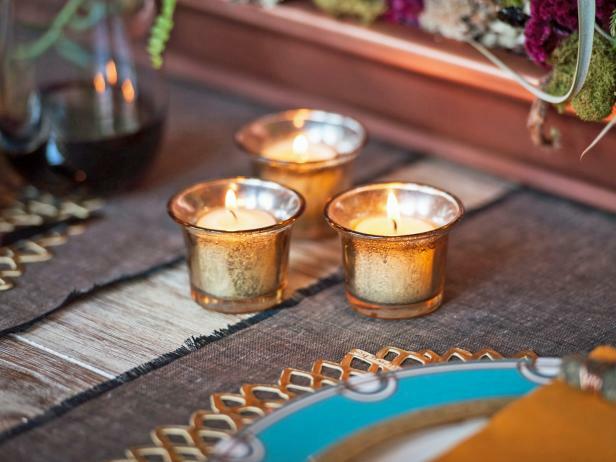 These DIY votive holders look classy and cozy for a fraction of the price!